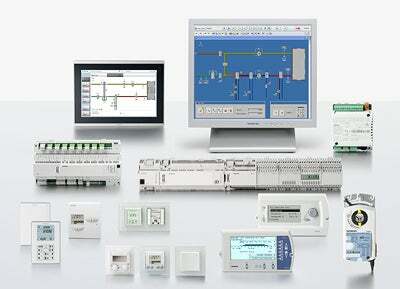 Siemens Building Technologies Division has introduced a new building automation system, Desigo V5.1. The automation system will support platforms such as BACnet/IPv6 and the latest Microsoft operating systems, Windows 8 and Windows Server 2012. Together with the BACnet Advanced Workstation profile, Desigo Insight V5.1, is the first building automation management station to be certified under BACnet Revision 1.10. The system will use the BACnet/IPv6 standard, which will enable future automation stations and operator units to be integrated into the IT structure through IP to support new applications in the ‘Internet of Things’ of the future. The company said that existing Desigo installations can be upgraded to BACnet/IPv6 without any rewiring by using the Desigo V5.1 PXG3 router. The BACnet/IPv4, BACnet/LonTalk and BACnet/MSTP communications protocols will continue to be supported in order to ensure compatibility with existing installations, as well as with third-party devices and systems. Desigo V5.1 will implement the latest AMEV BACnet 2011 V1.1 recommendations for planning, building and operating different disciplines in public buildings, which are updated regularly by the German AMEV working group in order to promote the standardisation of disciplines. "The automation system will support platforms such as BACnet/IPv6 and the latest Microsoft operating systems, Windows 8 and Windows Server 2012." Desigo Total Room Automation (TRA) is an important component of the Desigo V5.1 system and can now measure temperature, as well as air quality and humidity in the room. The company has added additional KNX room operator units to the Desigo TRA product range in Version 5.1 for wall mounting and flush-mounted room sensors. Siemens said that the Desigo library of tested applications will now feature new applications for air quality and demand-based ventilation, such as variable volumetric flow systems (VVS). The Desigo TRA product range features new room operator units with or without display and control elements, as well as the right sensors for any application. Image: Desigo V5.1 will support technologies like BACnet/IPv6, the latest Microsoft operating systems Windows 8 and Windows Server 2012. Photo: courtesy of Siemens.